Jubilee House Care Trust is a charity providing support for adults and children with a learning disability. We support not only them, but their families. We are currently supporting around 120 people each year through a wide range of care services. 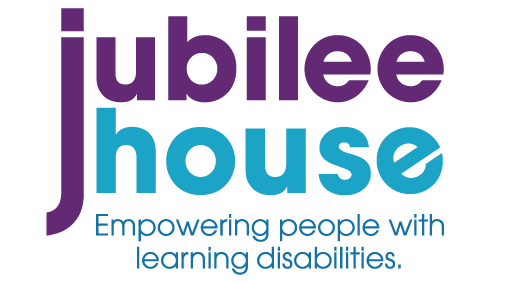 Jubilee House supports people with learning disabilities by empowering them to live their lives their way. Providing individually tailored care and support through a wide range of services for both adults and children, makes Jubilee House a unique organisation within Hertfordshire. From our hub in Welwyn Garden City we are also able to provide services to North London Boroughs, such as Barnet, Camden, Haringey, Enfield and further afield to the Home Counties of Bedfordshire, Cambridgeshire, and Buckinghamshire. We have over 40 years of experience providing personalised support and care to people with learning disabilities. We work with both local authorities and families directly. Our high quality services and facilities are designed to maximise opportunities and enable individuals or service users to live the life they choose. We support people with learning disabilities and their families to ensure that individuals live happy and fulfilled lives. We are committed to being there at a time when individuals need it most. What an EGGcellent start - Over 50 Eggs have been collected in total! Thank you to Loaded for Bears for your kind donation. Matthew has been on a lot of adventures lately, including a visit to Alexandra Palace to see the train exhibition back in March. On the weekend just gone he visited #NeneValleyRailway where he drove a steam train by himself!! (with a train instructor) which is his absolute dream and aspiration and it was not just any stream train.. it was Thomas! Great news about #Heathrow launching the #SunflowerLanyards for those with hidden disabilities. If you are travelling through #Heathrow airport within the next six months, they are offering to post anyone who would like a lanyard, no matter where you are in the world! We are registered with the Fundraising Regulator and follow their guidelines and regulations. All money raised or donated to Jubilee House goes to the services that provide the care and support to children and adults.